Robust product design and testing – The generator is designed to operate under extreme environmental conditions including cold weather starts at as low as -40 oF. 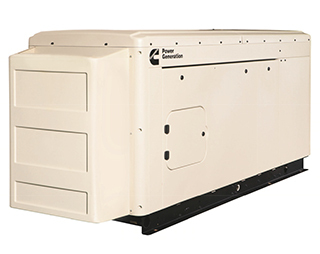 The generator is tested and certified per the latest EPA, UL and IBC Seismic standards and is capable of meeting NFPA110 requirements when equipped with the necessary accessories and properly installed. Flexible Exercise mode – The innovative, flexible exercise mode enables the generator to exercise at a time, frequency and duration that suits the customer’s preference – as little as 2 minutes every 6 months – reducing unnecessary fuel consumption, emissions and noise. Advanced Enclosure Design – The aesthetically appealing enclosure incorporates special designs that deliver one of the quietest generators of its kind. Aluminum material plus durable powder coat paint provides the best anti-corrosion performance. The robust design is capable of withstanding winds up to 150 MPH and the intelligent design has removable panels and service doors to provide easy access for service and maintenance. Self diagnostics and easy service – The generator is equipped with Cummins PowerCommand electronic control to provide industry-leading self diagnostic capabilities. 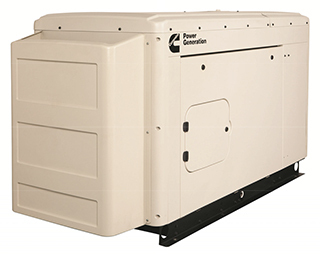 In addition, critical components of the generator are designed to ensure service and preventive maintenance can be completed in a short period of time. 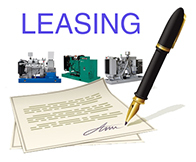 At Prima Power Systems Inc. we offer No payments for 90 days on any leased equipment with excellent rates OAC. PLUS Get a great lease with “installation” included in the payment.